A Yonkers man is facing an animal neglect charge after a beagle belonging to him was found in horrible condition in Carmel last weekend. 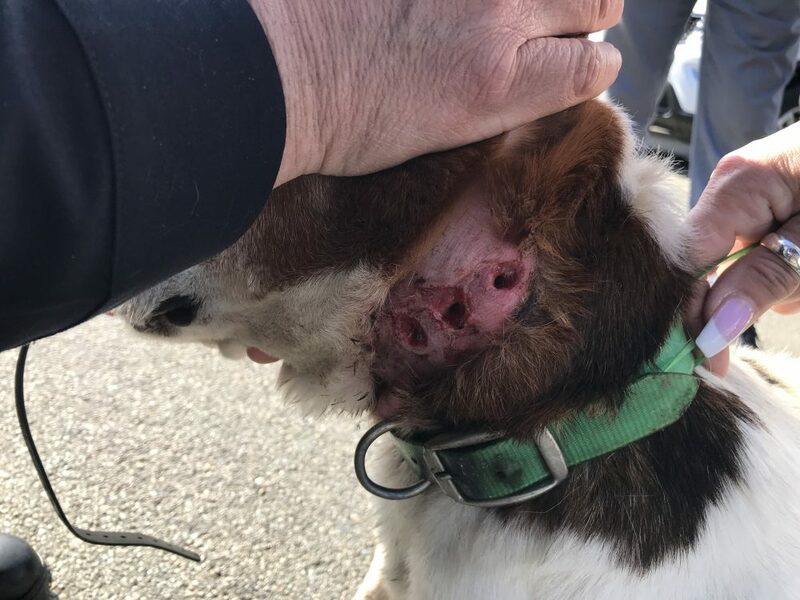 Nuno Afonso-Gouveia was hit with an animal neglect charge, a misdemeanor, and will be face arraignment on April 23 in Town of Carmel Justice Court as his dog receives treatment for several bruises and injuries. If convicted, he could face up to one year in prison and as much as a $1,000 fine. The dog at the center of the neglect case was found wandering loose near Meadowlands Auto Dealership on Route 6 last Saturday by a Good Samaritan, who saw the dog’s barking collar was extremely tight and when removed, discovered the collar’s three prongs had broken through the dog’s skin, causing three gaping holes in its neck. The dog also had untreated fly/mite bites on its ears, a healing gash on its back and possibly a small tumor on its right hind leg. Once the SPCA was contacted, they took custody of the dog, whose name is Snoopy, and brought it to a veterinarian hospital where it is currently being held and treated. SPCA detective Ken Ross III, who father Ken Ross Jr. is the SPCA chief, said Afonso-Gouveia was using the dog for hunting and storing the dog in Carmel where Afonso-Gouveia works. “He has no ability to get the dog back right now,” Ross III said, as it will stay under veterinarian care as the case plays out.